Grease two 8-inch cake pans. In the bowl of your stand mixer with paddle attachment in place, beat sugar, oil, and eggs. Add vanilla, milk and jam. Slowly add flour until a light, smooth batter forms. Evenly separate cake batter between cake pans and bake for about 45 minutes or until cake tester comes out clean. **Cooking the cakes at a lower temperature will keep the center from rising too much so you will get a more level cake. In a medium sauce pan boil down strawberries, sugar and cornstarch until a thick jam has formed. Remove from heat and transfer to a glass bowl to let cool completely (as it cools it will get thicker). In bowl of your stand mixer, beat butter until smooth and clump free. Add the rest of the ingredients called for strawberry frosting. **Start off with a 1/2 teaspoon of milk, add as you go if you need to. 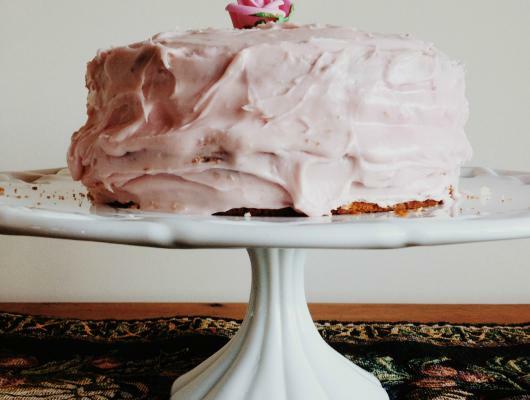 You want a stiff, thick consistency so your frosting doesn't run down the sides of your cake. Once the cakes have cooled, gently transfer to a wire rack. Taking a sharp knife, slice each cake horizontally. 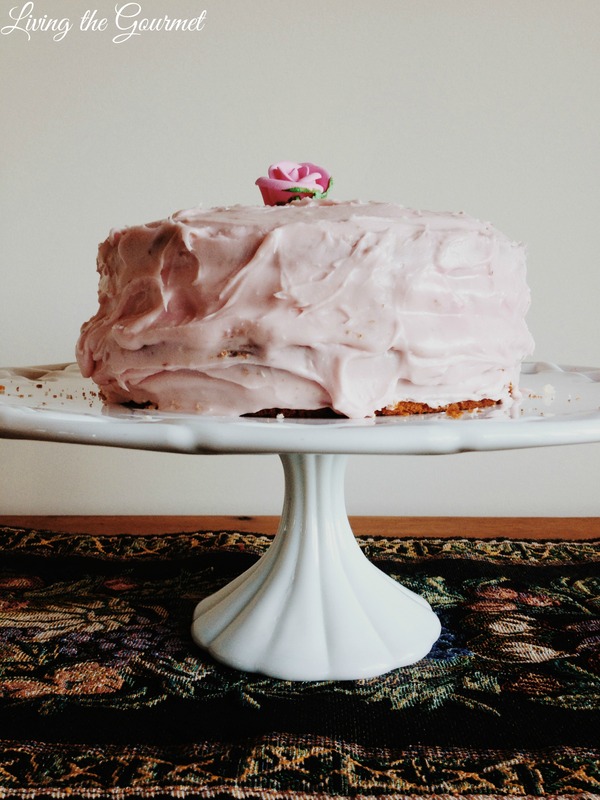 Lay one bottom half on a cake stand. Spoon enough strawberry jam in the center. Spread out evenly. Place top half of cake upside-down on top of bottom half. Spread more jam. Repeat this process until your have layered both cakes. Gently spoon out strawberry frosting. Let your cake rest so the frosting sets before serving. If you so desire, top with a candied rose or any fondant decoration you wish. Enjoy!